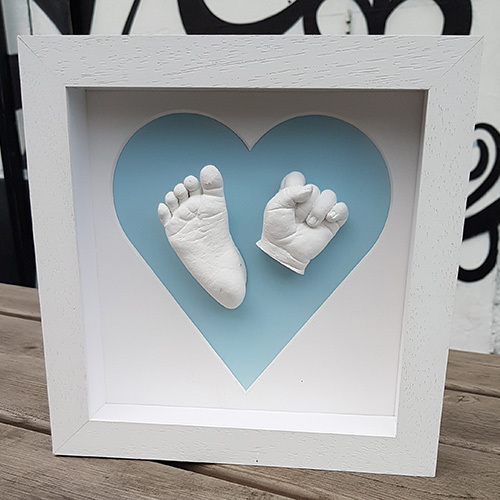 Our Contemporary 26 x 11" LOVE Casting Frames are the perfect size for the very popular 'LOVE' casting where the baby's feet make up the 'V' and optionally, the 'O' can be a circular photo, clay hand impression or raised hand impression.You will need to provide your own letters for the word 'LOVE'. 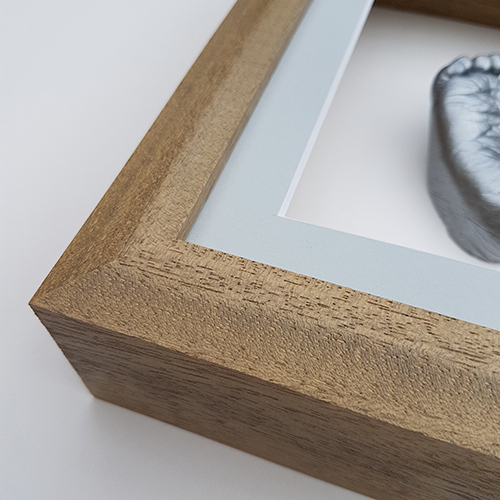 Our frames are professionally hand crafted in the UK. 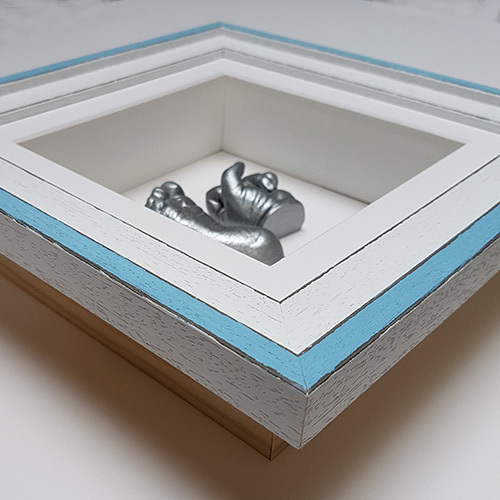 The frame comes ready-assembled so you don't have to deal with fiddly screws or loose panes of glass. 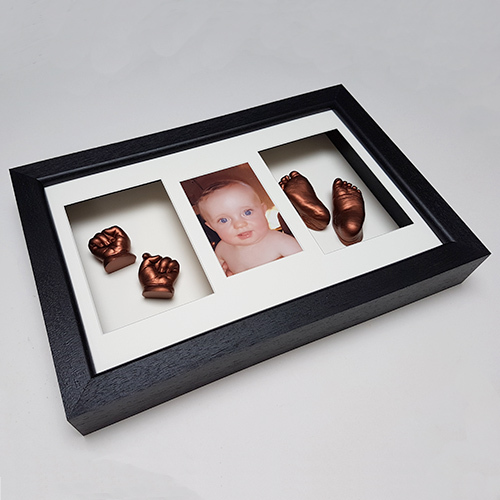 The frame is made as a single box and comes in a choice of our standard 5 colours. It can be stood on its edge for display of you don't wish to hang it. 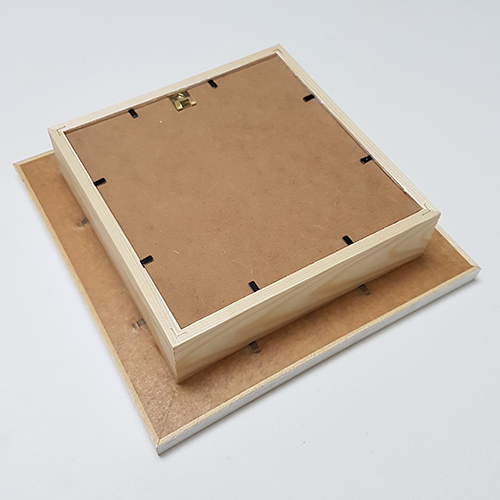 The single rectangular aperture measures 65 x 27 cm. 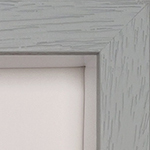 It comes with side fillets to hold in the glass (no front mount) and your choice of precision-cut back mount. 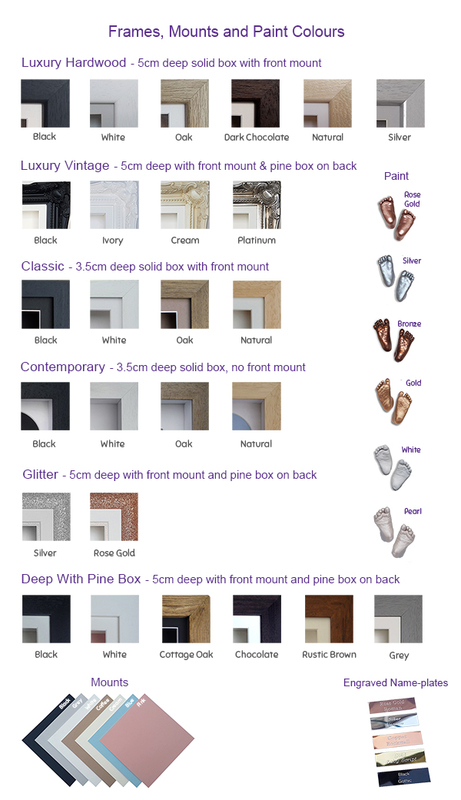 This gives a wider display area and a more modern look. 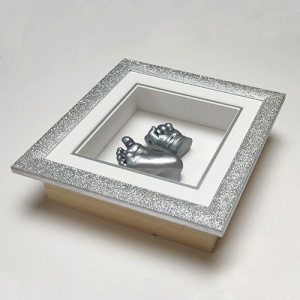 Due to the 3.5cm depth, this frame is probably only suitable for foot casts of babies up to 1 year. 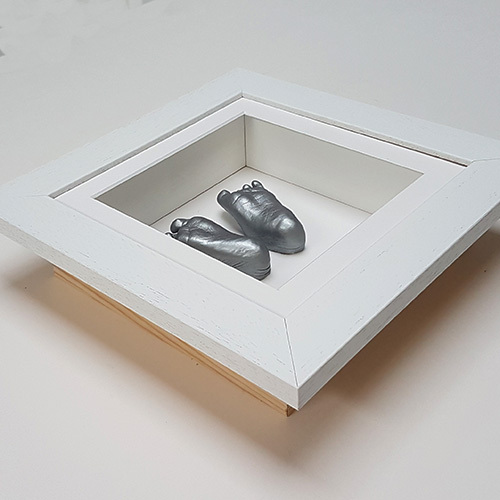 For older children you can use the Deep With Pine Box or Luxury Hardwood LOVE Frames. The 'glass' is high-quaity scratch-resistant acrylic. 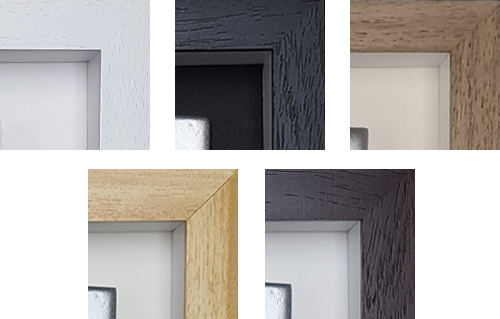 Special order frames. 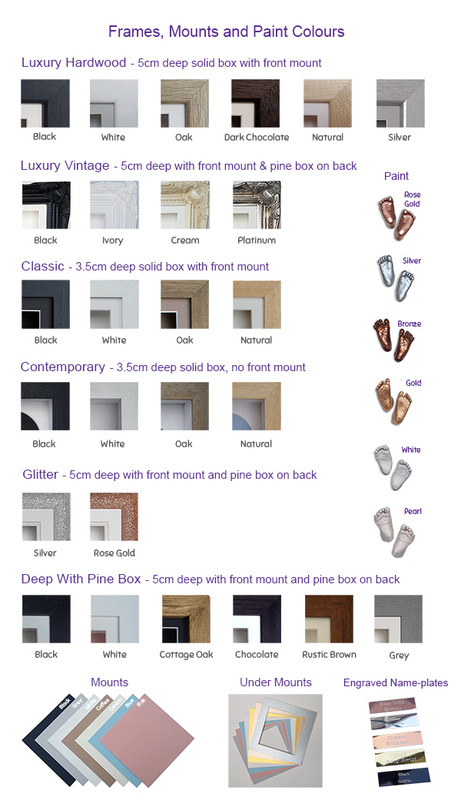 We do not keep this frame in stock so it must be ordered separately from our supplier. 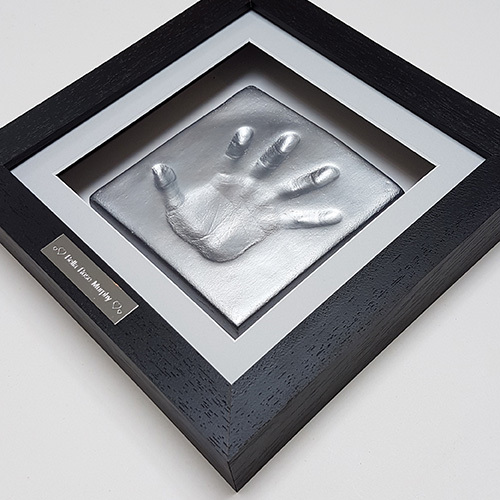 If you order other items with it the whole order will be dispatched when the special order frame comes in to us, usually 2-4 weeks. Or you will need to pay the separate postage. 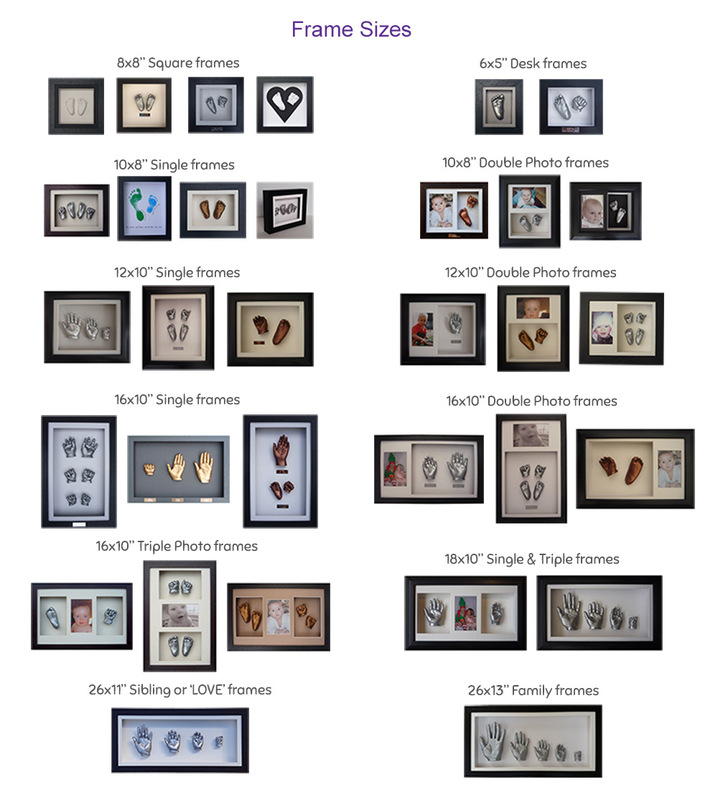 It is best to place a separate order for this frame. 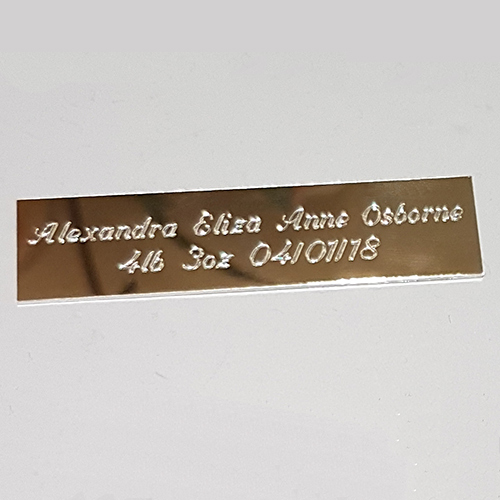 Then, when it comes in, we will contact you to see if you want to add any other frames to save on postage at that point.